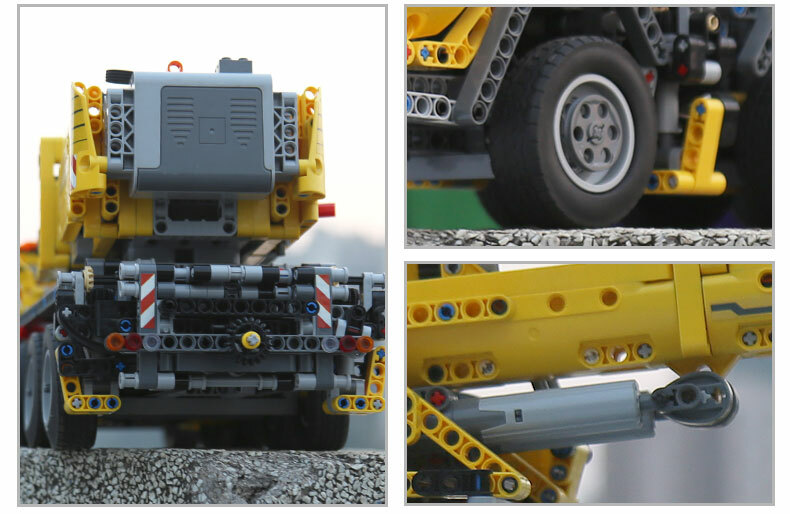 Get ready for the biggest, most complex Technic model ever! 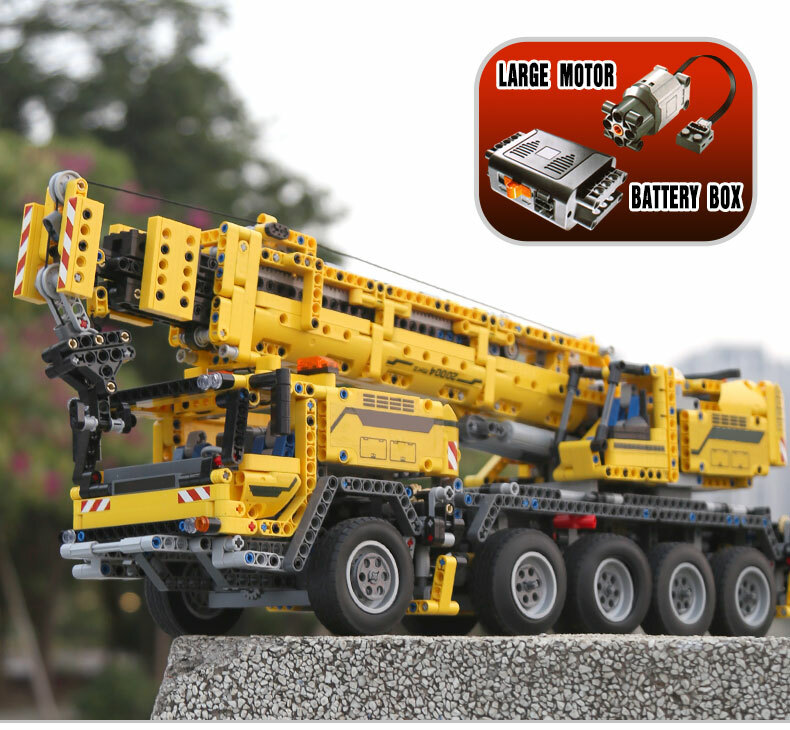 Technic Motor Power Mobile Crane! 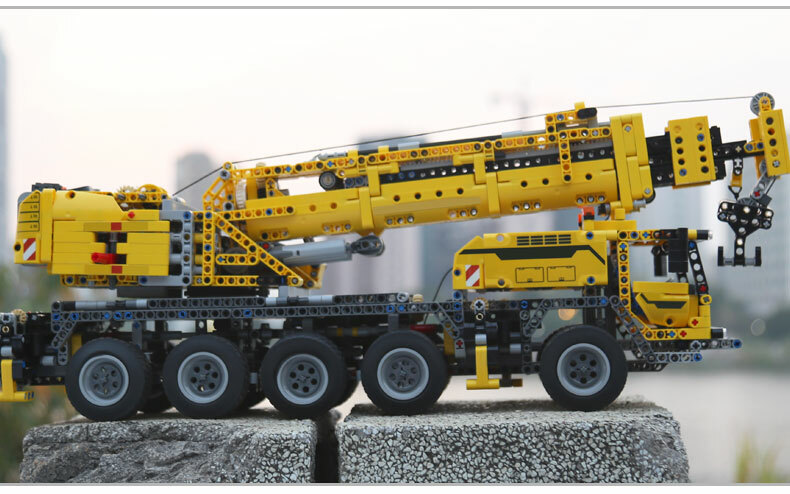 Drive this 2,793-piece behemoth of a model into position with the cool 8-wheel steering and rotate the superstructure. 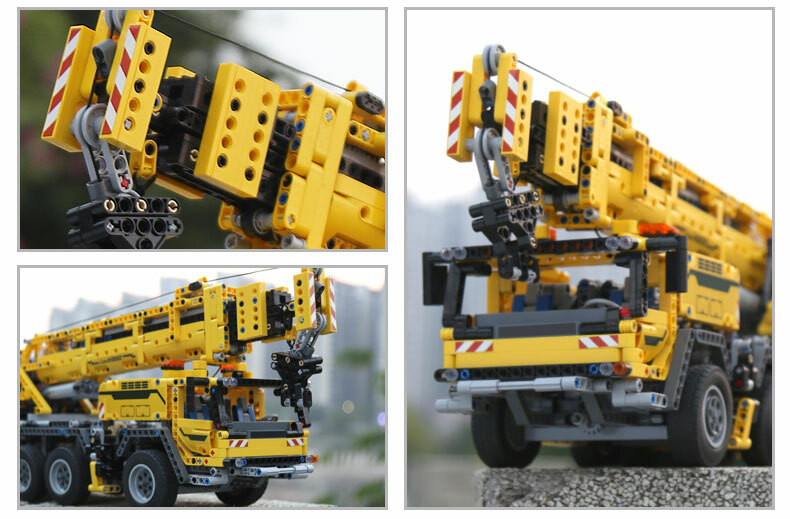 Then activate the included Power Functions motor to extend the outriggers, lower the feet and extend or raise the crane arm up to 77cm into the air. Lower the hook with the working winch and get ready to lift the load! This authentic 2-in-1 model also features 10 wheels, 5 axles and a detailed V8 motor with moving pistons. 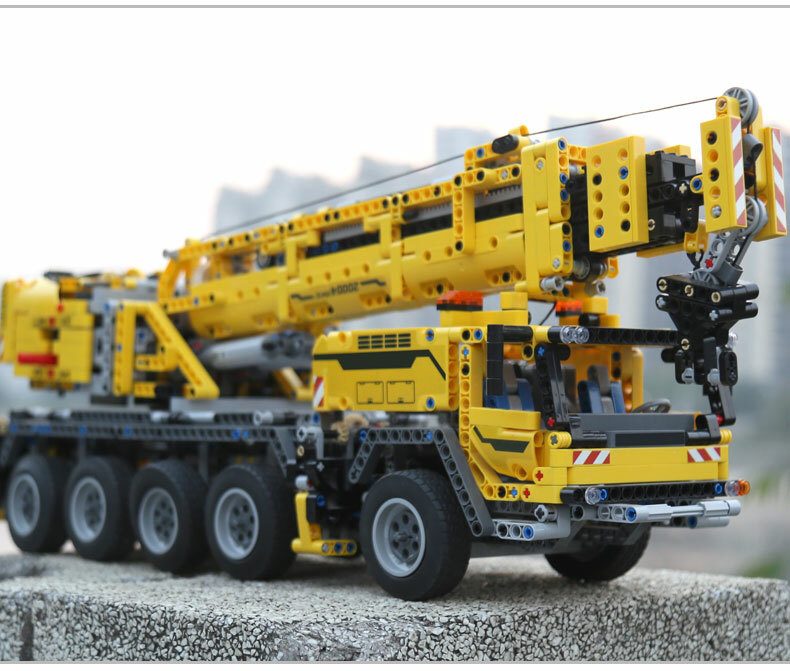 Rebuilds into a container stacker and truck featuring Power Functions motor-powered extending and raising boom. Extend the crane arm over 30â€? (77cm) into the air! The engine pistons really move!